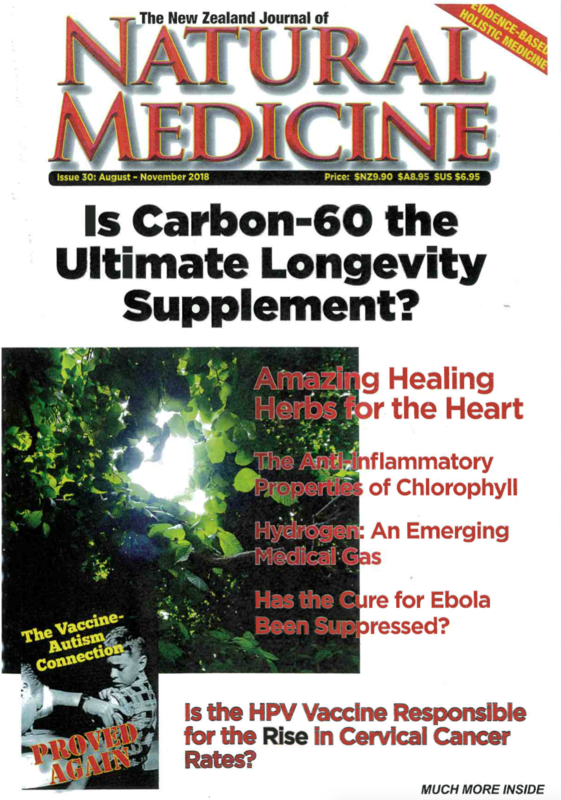 Why did Dr. Wilson Create his Adrenal Fatigue Products? James L. Wilson D.C., N.D., Ph.D. has helped thousands of people with Adrenal Fatigue regain their health and vitality during his 24 years of private practice. Unique Long Term Support for Optimal Immune Function. A natural aid to strong immunity Nat-Stim® is a unique immune enhancer developed by scientists affiliated with the World Health Organization to significantly help maintain health. 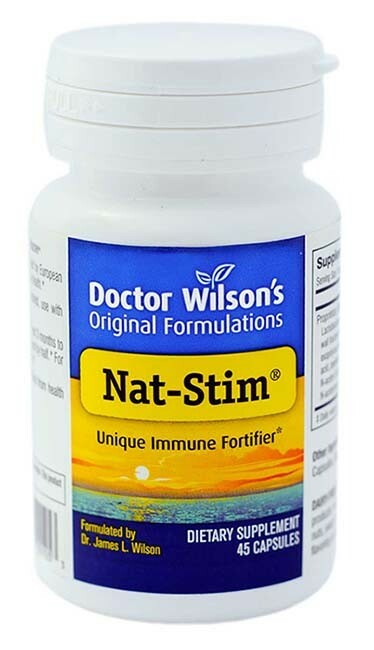 Derived from a special immune-enhancing, fortified strain of lactobacillus, Nat-Stim® is designed to naturally build and provide long term support for strong immune function and promote healthy immune response in a variety of everyday situations. The secret to remaining well is to have vigorous immune function, especially in your lungs, bronchi, throat, nose and intestines. Nat-Stim® was designed to promote strong reliable immunity specifically in these areas. This very unique NATural immune STIMulator provides long term support for healthy immune function and optimal immune defense. Using a novel, proprietary method that took many years to perfect, the scientists who developed Nat-Stim® derived immune enhancing cell wall fractions from a special strain of Lactobacillus bulgaricus, a naturally occurring friendly bacterium found in healthy intestinal tracts and in some probiotic foods like yogurt. 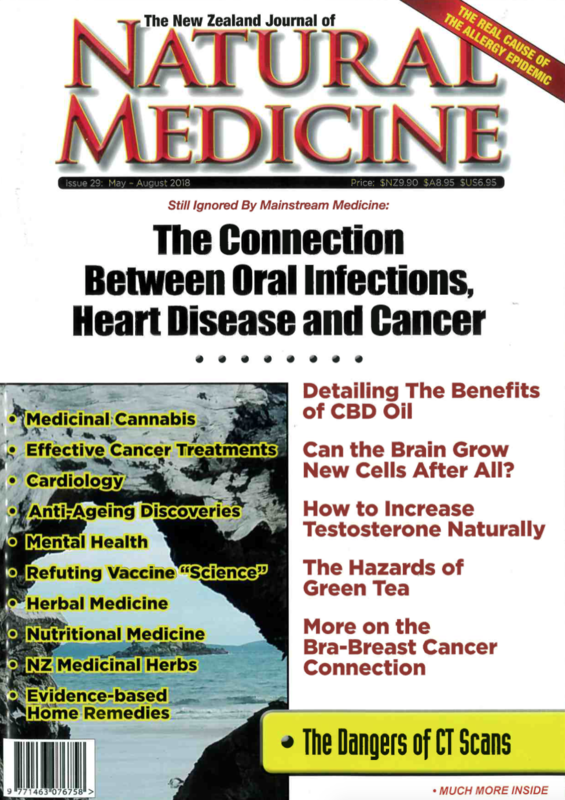 They used a proprietary method to combine these cell wall fractions to create a powerful immune enhancer that produces safe, natural but strong immune support for the lungs, bronchi, throat, nose and intestines. Nat-Stim® is designed to enhance both specific and general aspects of immune function necessary to maintaining health, with effects that build and deepen over time. In addition, because Nat-Stim® helps promote a strong immune response, it may also help cut down recovery time. Nat-Stim® is not a pharmaceutical and does not work like a drug. It helps invigorate, build up and support the body’s own immune processes naturally over time, even when taken for extended periods It is designed for regular, daily use to help maintain optimal immune protection without losing its effectiveness over time. In contrast, most immune-enhancing products only offer limited, temporary help. In fact, in our experience, the longer you use Nat-Stim® the better it works. Many people have had outstanding success using Nat-Stim®. One of the smartest things our family has done is to take Nat-Stim® regularly. We have found that it takes about 2-3 weeks for it to begin taking effect. Just like exercise,it produces the best results when given the chance to work over time. The most critical periods for increasing immune support are in the weeks preceding and during times of greater demands on your immune system, such as winter and travel. For children and adults who are around children, this also includes summer swimming pool use, camp attendance and the seasonal return to school or daycare. The small Nat-Stim® capsules are very easy for adults to swallow, but young children should not be given whole capsules. It's never too late or too early to start supporting your immune function. Once you try this truly remarkable product, you'll never want yourself or anyone you care about to be without it! Ingredients – Each 25 mg capsule contains a proprietary blend of cell wall fractions from Lactobacillus bugaricus including: exopolysaccharide, lipotechoic acid, peptidoglycan, N-acetyl D-glucosamine, N-acetylmuramic acid, murein, magnesium stearate, & rice powder. Directions for use – Take between 1-2 capsules a day with water or juice 30 minutes before breakfast or on an empty stomach, or as otherwise directed by your health practitioner. If swallowing capsules is difficult, open the capsules and mix the mild tasting contents into any beverage or soft food. After taking regularly for 3 months, most people can usually switch to half the daily amount and still maintain good immune enhancement. For best results take consistently throughout the year, and especially when extra immune support is desired. If you need more immune support, take double the normal amount. Pack size: available in one pack size of 45 cellulose capsules. Side effects – We have received no reports of adverse side effects. Quality and purity – Nat-Stim® is a completely natural vegetarian dietary supplement. It is DAIRY-FREE and contains no milk, egg, sugar, salt, wheat, gluten, yeast, corn, soy, or artificial coloring, flavoring or preservatives. Always read the label and use as directed. If symptoms persist see your health-care practitioner. "After more than 15 years of chronic tiredness and fatigue, existing day to day in a haze, trying to drag myself out of bed, being irritable and depressed looking forward only to sleep (which didn’t relieve my tiredness), after trying all types of pharmaceutical prescriptions and remedies, the haze in finally clearing!! My energy is increasing daily, I can think much more clearly, I can handle stress a lot better and feel I finally have a life to really look forward to"
" And to think that I used to wake up every morning feeling nauseous and often with my heart racing. It would take several hours of eating almost non-stop to feel better but each morning the symptoms would return full force. Even after the pneumonia cleared up, I didn’t have the energy to work all day"